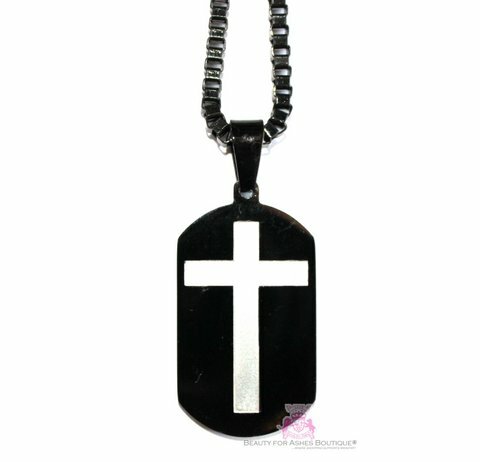 This dog tag style necklace features an embedded classic cross in a matte white gold plating surrounded by black gold pating. The 3mm box chain is black gold plated over stainless steel, measuring 24 inches long with a lobster claw clasp. Dog Tag Pendant measures just bout of 1.5 inches long without the bale by 3/4 inch wide.